Another interesting way to teach your child ABC is using an alphabet stamp. Your child will enjoy using this to come out with new words and sentences in this alphabet activity. It is a great way to teach and practice spelling without being too boring. 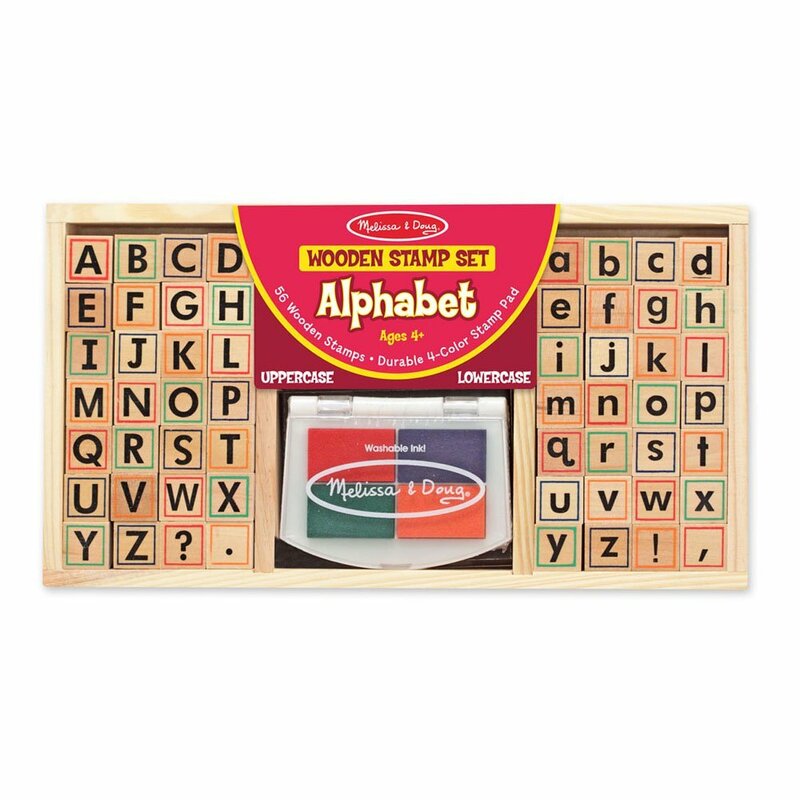 One such available stamping set is the Melissa & Doug Deluxe Alphabet Stamp Set . You can mix and match the wooden stamps to build words. This helps to teach your child capital and lowercase letter recognition and basic colors, and encourages beginning spelling and fine motor skills. Another available Alphabet Stamp set is from Educational Insights. This is perfect for little hands. Stamp alphabet sequences, words or sentences and each stamp is 5/8" tall. Set includes lower case letters. Children can stamp alphabet and number sequences, words, sentences, and math facts. Have fun and enjoy this alphabet activity! For more alphabet activities, check out Alphabet Games.